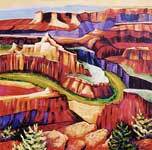 Sonni Cooper is a Santa Fe artist who delights in the color and light of subjects, especially the Southwest. She works in acrylics on canvas and paper and in pastels. 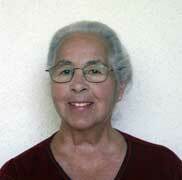 Her work is currently shown in two galleries in New Mexico and includes landscapes, animals, and Indian subjects. This website shows her work chronologically, selcted works by subject, and her experience.